If you haven’t been watching the Ken Burns documentary, “The Roosevelts, An Intimate Portrait” you’ve been missing out. Personally, I am a Roosevelt nut. I’ve read all the biographies and seen all the fictional movies. And, still, I learned things from this documentary that I never knew about them, particularly about Teddy, who was just as amazing as Franklin and Eleanor. It was fantastic. But, why am I talking about the Roosevelts here on a PR/SM blog, you ask? As I watched this documentary cover his first fireside chat – the one he gave only one week into his first term and three years into the Great Depression, I realized it was the perfect case study for crisis communications. Reach out to your audience where they are; connect with them personally and directly. Tell the truth. Speak honestly and plainly about what happened – what went wrong. Explain how you will fix the problem in the short term; how you will make things right. Also, explain how you will ensure the problem will never happen again. Follow-up with details showing how the solution is working and use specific examples. 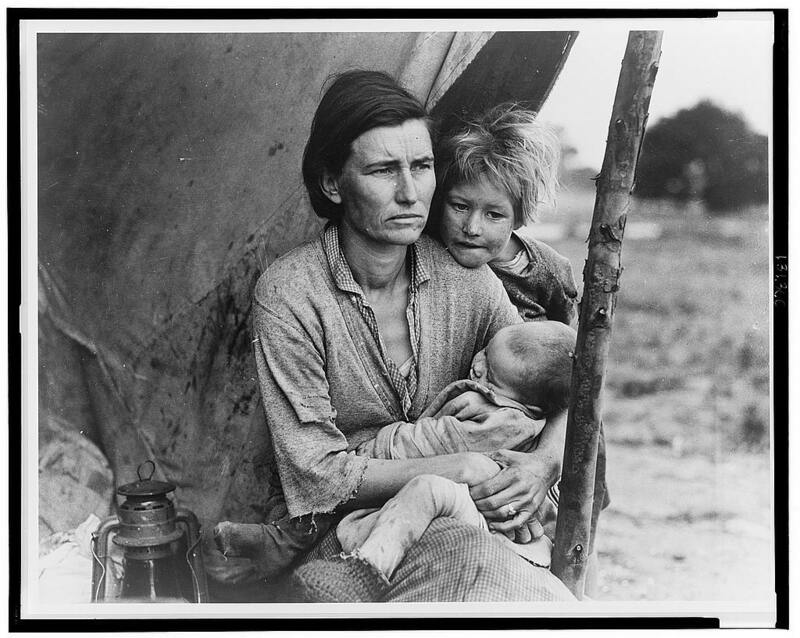 During the first three years of the Great Depression, lives and livelihoods were destroyed and most Americans didn’t understand why. All they knew is the work was gone, the house was gone and the money that was supposed to be in the bank, well, that was gone too. 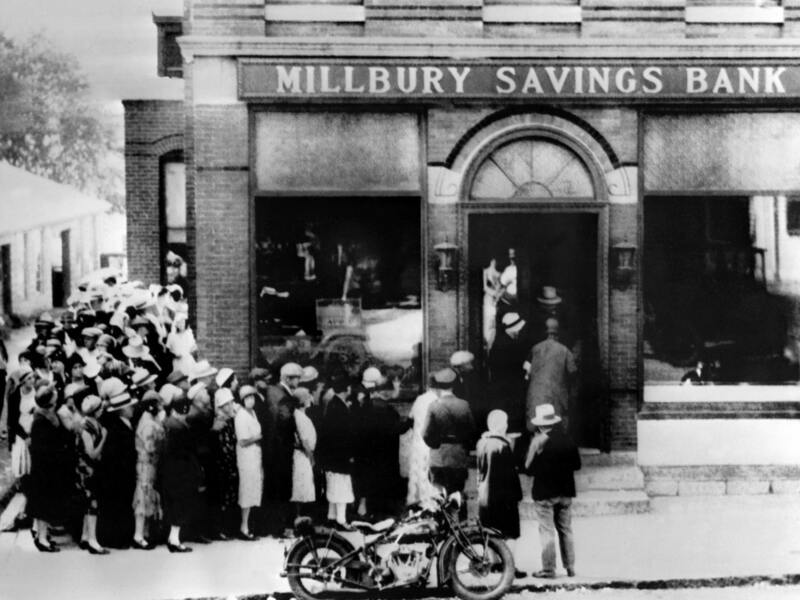 Americans who still had some money in the banks, made things worse by rushing in and withdrawing every last dime, causing bank after bank to fail. There was confusion and panic and fear everywhere. Of course, in his inauguration, FDR gave the great speech reminding Americans that “the only thing we have to fear is fear itself.” He discussed the kind of “paralyzing fear that turns advance into retreat” and that once Americans let go of that fear, they can move forward, onward and upward. Heard by millions, this was the first glimmer of hope since the Crash. But, he knew he had to do more. Just like any company, brand or person must do in a crisis, he had to address it head on and explain to the people what was happening. What really turned the tide was the first fireside chat. Only 8 minutes long, the speech changed the entire course of the country. Not only was it the first time a President spoke so directly to the people; not only did it feel to Americans as if he was right there in their homes, talking them through this; but it was also pure crisis comms. My friends, I want to talk for a few minutes with the people of the United States about banking — to talk with the comparatively few who understand the mechanics of banking, but more particularly with the overwhelming majority of you who use the banks for the making of deposits and the drawing of checks. I want to tell you what has been done in the last few days and why it was done and what the next steps are going to be. First of all, let me state the simple fact that when you deposit money in a bank, the bank does not put the money into a safe deposit vault. It invests your money in many different forms of credit — in bonds, in commercial paper, in mortgages and in many other kinds of loans. In other words, the bank puts your money to work to keep the wheels of industry and of agriculture turning around. We have had a bad banking situation. Some of our bankers had shown themselves either incompetent or dishonest in their handling of the people’s funds. They had used the money entrusted to them in speculations and unwise loans. He didn’t use industry jargon or fancy financial terms. He spoke to be understood by every American, regardless of age or education. This bank holiday, while resulting in many cases in great inconvenience, is affording us the opportunity to supply the currency necessary to meet the situation. Remember that no sound bank is a dollar worse off than it was when it closed its doors last week. 4. EXPLAIN HOW YOU WILL ENSURE THE PROBLEM WILL NEVER HAPPEN AGAIN. He next explained the newly formed FDIC designed to protect consumer funds in the banks and the new legislation – which came to be known as Glass-Stegall – which would separate commercial lending and speculating from personal banking to ensure this would never happen again and that individual Americans’ money would be safe and accessible. Your Government does not intend that the history of the past few years shall be repeated. We do not want and will not have another epidemic of bank failures. The new law allows the Government to assist in making these reorganizations quickly and effectively and even allows the Government to subscribe to at least a part of any new capital that may be required. Of course, his plans would not work if people continued to withdraw their money from banks. He needed them to re-deposit their money and re-establish consumer confidence in the banking system. It is possible that when the banks resume a very few people who have not recovered from their fear may again begin withdrawals. Let me make it clear to you that the banks will take care of all needs, except, of course, the hysterical demands of hoarders, and it is my belief that hoarding during the past week has become an exceedingly unfashionable pastime in every part of our nation. It needs no prophet to tell you that when the people find that they can get their money — that they can get it when they want it for all legitimate purposes — the phantom of fear will soon be laid. People will again be glad to have their money where it will be safely taken care of and where they can use it conveniently at any time. I can assure you, my friends, that it is safer to keep your money in a reopened bank than it is to keep it under the mattress. Perhaps this is the most amazing and important part of it all. Because FDR explained so clearly what had happened, what was being done and what they – the average consumer – needed to do, they actually did it. In fact, the day after that first fireside chat, more than 150,000 letters arrived at the White House from people who said that for the first time in years, they had hope. When you empower people with knowledge and action in a crisis, they respond. It’s that simple. 6. FOLLOW-UP WITH DETAILS OF HOW THE PROBLEM HAS BEEN OR IS BEING RESOLVED AND USE SPECIFIC EXAMPLES. Of course, FDR gave more speeches and fireside chats that regularly updated the public on the success of the restructuring of the banking system. In fact, he sent Harry Hopkins, Elena Hitchock and – of course – Eleanor out to criss-cross the country, talking to teachers and preachers, workers and bosses, the employed and unemployed. He asked them to send back weekly reports so he could get the truth about what was working and what still needed to be done. This also enabled him to give specific examples in his future speeches. He actually addressed specific Americans by name and talked to them about their concerns. In speaking to the individual, he – in fact – spoke to everyone. That really hits the most important factor of good crisis communications: do not hide from the cold, hard facts. No matter how much the truth hurts, you can’t address it if you ignore it. So, the next time hackers steal your customers’ credit card numbers or passwords; the next time you are faced with a product recall or dive-bombing stock prices, remember how FDR handled the Great Depression. Utilize social media in the same way he used the radio. Facebook, Twitter, LinkedIn, G+ – these sites give you that same opportunity to engage directly with your audiences and get your message out, while sharable content helps spread that message online. But, most of all, remember the six steps to good crisis comms. Speak frankly, directly and honestly and you will come out on the other side stronger and you may even foster greater loyalty among your audiences than you had before the crisis just as FDR did who went on to be elected President an unprecedented four times. Now THAT is good crisis communications! 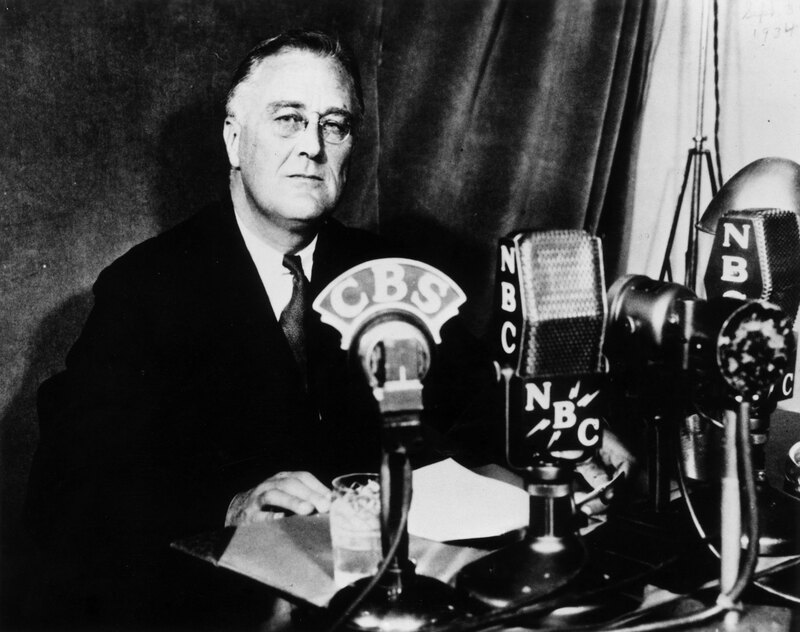 Read the full text of FDR’s first fireside chat here. Next Post: Is Ello As Privacy-Focused As They Claim? Pingback: Crisis Communication | Listen Up!